Now that many of our fave television shows are winding down for the spring season, we have fewer distractions in the form of entertainment and drama. What will we do? In honor of our favorite shows hitting their season finales in the next few weeks, we have put together a list of the couples we hope last, reunite or embark on a new relationship before the season ends. With a new twist that throws Dan “Lonely Boy” Humphrey into the running of winning over Blair Waldorf’s heart, our heart aches for the pairing of “Chair,” or “Bluck.” Whatever you want to call them. Even though Blair dismissed their sexual tirades a few months back as nothing more than a casual hook-up, it was clear from the April 18 episode that it’s not over between the Upper East Side royalties. And we don’t want it to be. While it’s nice that sweet, Brooklyn boy Dan has similar interests to Blair, such as films and literature, nothing can top Chuck and Blair’s love for scheming and the high society culture. According to the promo for the rest of season, though, the prince from Paris is coming back onto the scene to try and get Blair back as well, but we know Monsieur France has nothing on C.B. Hopefully Chuck can finally be done with his jealous antics and show Blair he’s ready make her Mrs. Bass for good. Nothing makes us angrier than Quinn using poor Finn to boost her always-plummeting social status. Rachel, who can be equally as annoying at times, deserves a little love after her heartfelt ballad personally written for Finn that helped the team win at Regionals. In a classic case of opposites attract, Finn’s dorky, athletic image combined with Rachel’s overbearing, determined demeanor is a recipe for love. 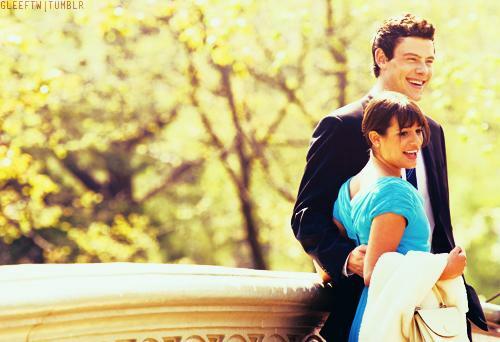 Even though Rachel cheated on Finn with Puck, has Finn forgotten that Quinn gave birth to his baby? Plus, their duets for the New Directions are so much better when the pair is actually together. No one likes forced chemistry on stage! After their scary car accident on huge threat on their (and McSteamy’s) baby, we hope that this couple stays together. Callie did say yes to Arizona’s proposal, but something tells us there will still be some bumps along their relationship road. Arizona needs to get over and accept the fact that Mark is a vital part to the parenting of Callie’s child, and Callie needs to be a little more sensitive to the fact that it is a slightly awkward and complicated situation. Plus, Arizona is the best-suited for Callie out of all of her other significant others throughout the years. I never understood the George-Callie combo at all, and the fact that he cheated on her with Izzie probably didn’t help. When Callie first started realizing her feelings for the females, I didn’t really see the attraction between her and Erica Hahn. Arizona is a great fit for Callie, and I hope these two don’t separate any time soon. With several episodes left in each sitcom’s season, it’s fair to say anything can happen. What do you guys hope to see with TV romance in the next few weeks?